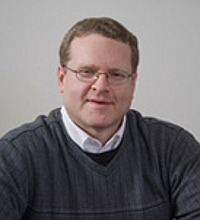 Scott Barker, Senior Lecturer, teaches in the areas of information technology, Internet applications, and local area networks. He also serves as Director of Information Technology for the iSchool. Before joining the School in January 1999, Mr. Barker was Director of Computing for the School of Information and Library Science at the University of North Carolina, Chapel Hill, and also Assistant Director for Research and Evaluation for Networking Systems at UNC. He holds a BS in Computer Science (1984) and an MS in Information Resources Management (1987) from Syracuse University.